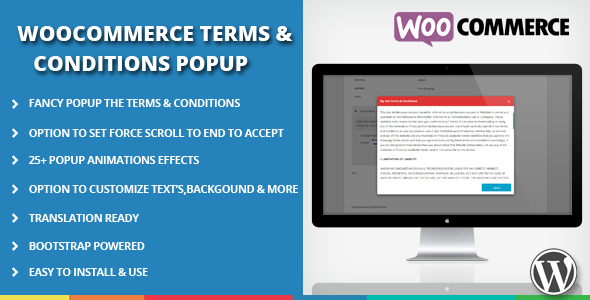 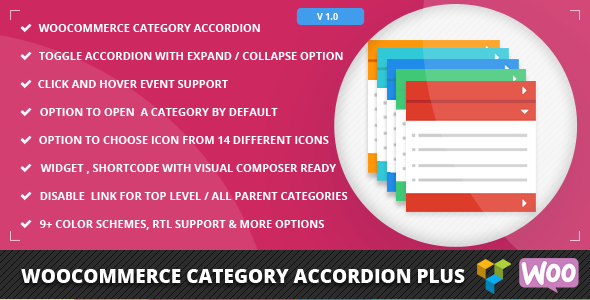 WooCommerce Terms and Conditions Popup plugin opens your site Terms & Conditions into a fancy popup on woocommerce checkout page with amazing 25+ animation effects. 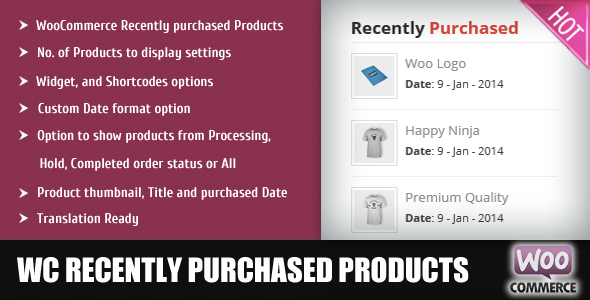 this will Keep your customers in the checkout funnel. 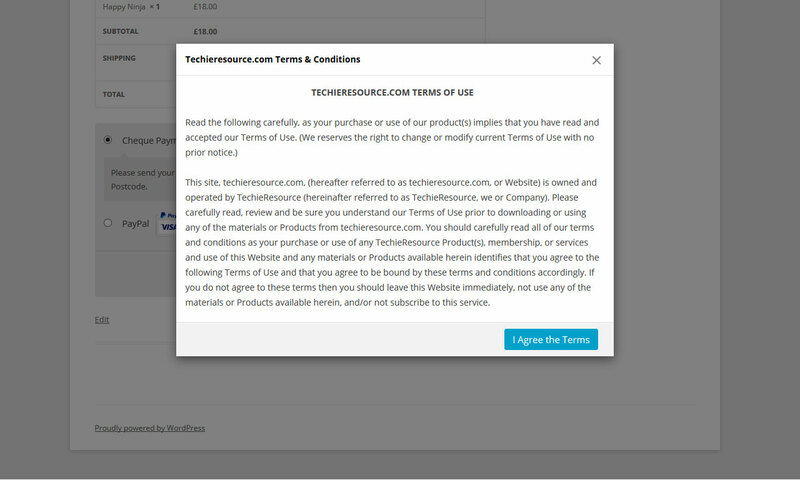 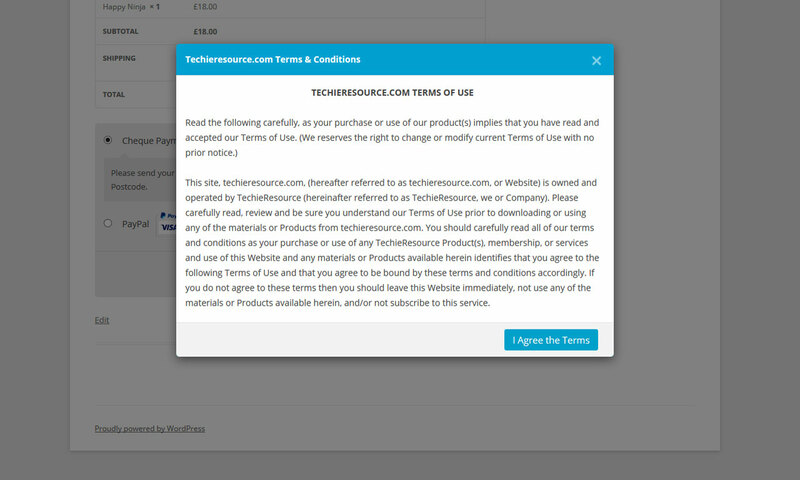 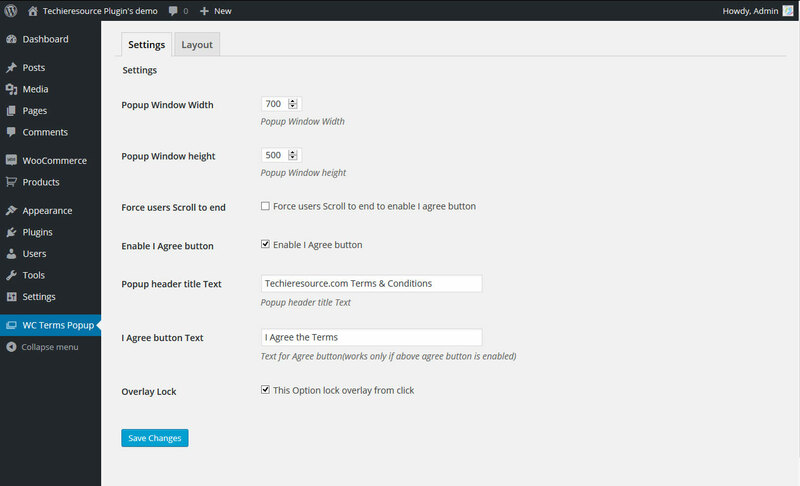 Terms and conditions have great advantages on both for users and administrators levels in terms of liability and security, This Plugin Will Keep your customers in your sales funnel by opening the Terms & Conditions page in to a Fancy popup, Putting Terms and conditions in a Fancy pop-up will reduces the probability for a users to leave the checkout page.